This is the companion to Bartt's "Ukulele Crazy" instructional DVD. Go from beginner to intermediate faster than a penguin can say "Heliotrope." Use the e-book and the DVD together, or just use the e-book alone. Or the DVD alone. It's all good! 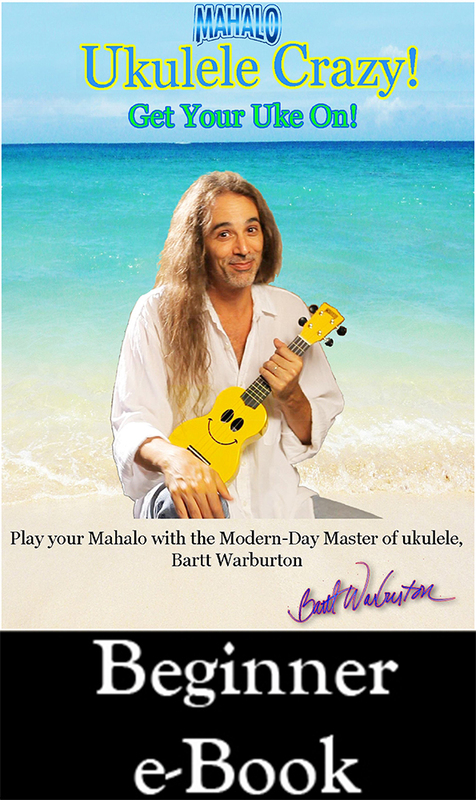 After you've learned the beginner stuff, get Bartt's more advanced DVD and e-book, "Ukulele Bartt's Ultimate Ukulele." You'll learn much fancier stuff, have more fun, and get more penguins. It's even better!